Since then she has obtained a performers music degree, studying with Jean Allister. She then spent a brief period with Kent Opera, which she enjoyed, but partly as a result, decided to be a "semi-professional" singer, preferring a static home and a regular income! Clare has a busy concert schedule around the East Midlands and further afield, regularly appearing as the soprano soloist in Oratorio performances. She also enjoys opera gala concerts and a few years ago she was invited to be the local guest soloist alongside Dennis O'Neill at an open air Opera Gala Concert in Markeaton Park, Derby where the audience apparently numbered over ten thousand! Despite enjoying oratorio and concerts, Clare's first love remains stage work, especially opera and she has sung major principal roles with several different companies, and major principal credits include: Madame Butterfly, Aida, Violetta (La Traviata), Mimi (La Bohème), Tosca, Santuzza (Cavalleria Rusticana), Adina (The Elixir of Love), Leila (Pearl Fishers), Adele (Die Fledermaus), Micaela and Mercedes (Carmen), Queen of the Night and First Lady (The Magic Flute), Marcellina(Fidelio), Amelia and Oscar (A Masked Ball), Olympia and Antonia (Tales of Hoffman) and Madamoiselle Warblewell (Impresario). 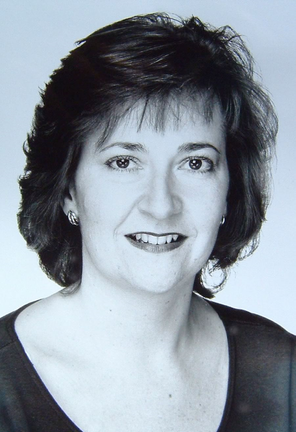 Clare has also undertaken some production work for Charnwood Opera in a range of shows from "Yeomen of the Guard", through "Merry Widow" to being both producer and MD for their 2007 production of "Carmen" and MD for their production of "La Traviata" this March. Although working full-time as an NHS HR Manager in Nottingham (Clare is a Fellow of the Chartered Institute of Personnel and Development: FCIPD,) Clare has a wide oratorio and recital repertoire and a busy concert schedule. In terms of stage productions, in 2008 she sang the roles of Queen of the Night and Pamina (The Magic Flute) with operahouse and Olympia (Tales of Hoffman) for Charnwood Opera. In 2009 she sang Yum Yum in Charnwood Opera’s production of The Mikado and both the leading soprano roles of Santuzza and Nedda in the "operahouse" double-bill of “Cavelleria Rusticana” and “I Pagliacci”. Clare will be making her debut in the role of "Donna Anna" in the "operahouse" production of "Don Giovanni" which has its first performance in June this year, 2010.